Brunch is the best meal ever invented, don't you think? Eggs, bacon (for the carnivores among us), warm muffins, fresh strawberries, fresh-squeezed orange juice ... makes us salivate just thinking about it. 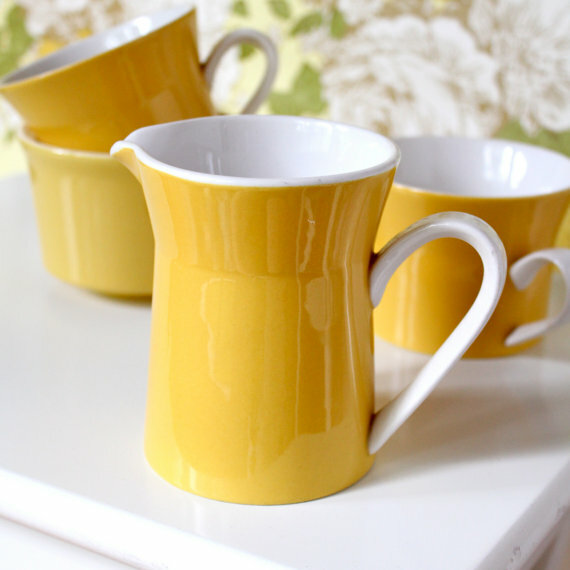 This morning dawned rather dull and grey here in central Virginia, but we found some bright vintage kitchen goodness to bring sunshine into the house. We hope these lovelies make you smile, too. If you like these, you'll find more sunshine-y vintage breakfast ideas in the Etsy treasury we curated this morning, called (unsurprisingly) Sunshine & Sunday Brunch -- a collection of items that are currently available for purchase in shops owned by certified members of the Etsy Vintage Team. 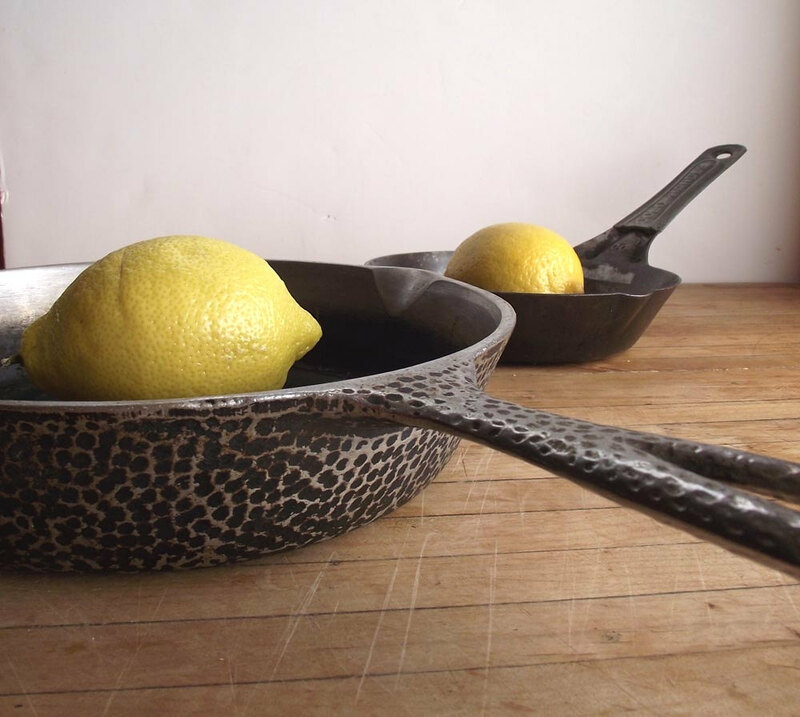 Vintage cold handle cowboy skillet and hammered cast iron pan. via Judygovintage. 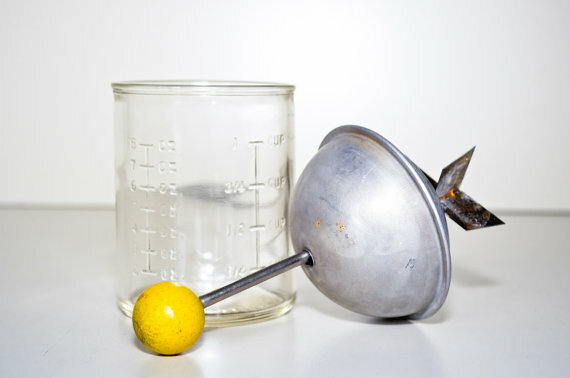 Vintage kitchen chopper with yellow wood ball handle. via Dentwood. Vintage Mikasa cups and creamer. via Mary & Grace. 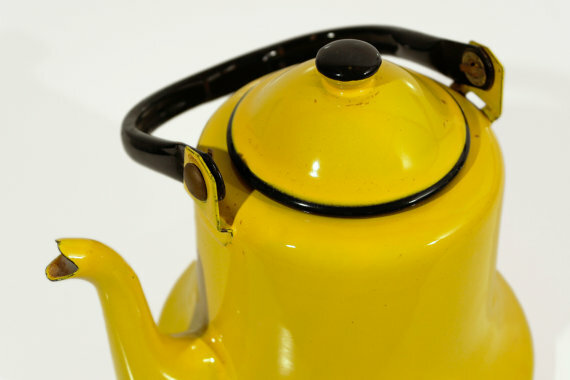 1960s Mod Asahi enamel teapot. via The Modern Eclectic. 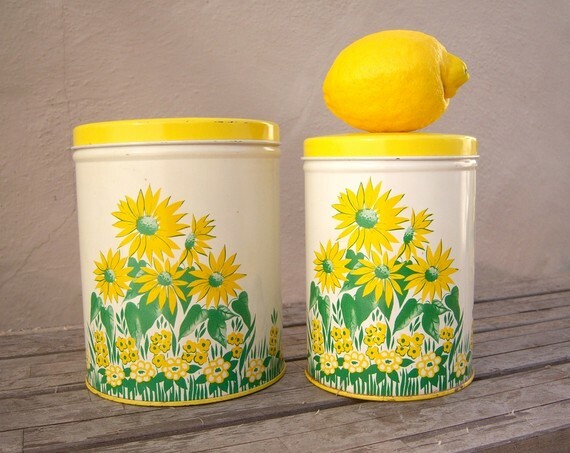 Vintage yellow and green flower tins. via Scout and Rescue. 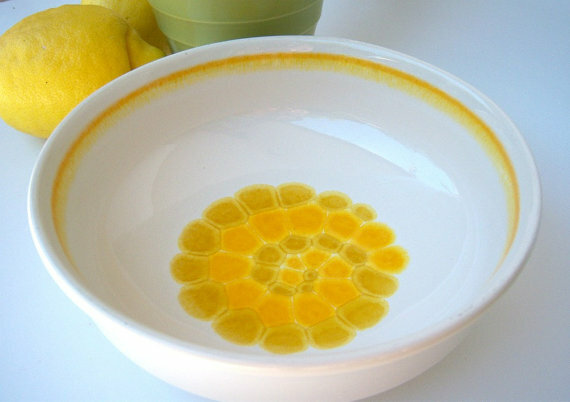 1970s Franciscan earthenware bowl in Sundance pattern. via Scout and Rescue. 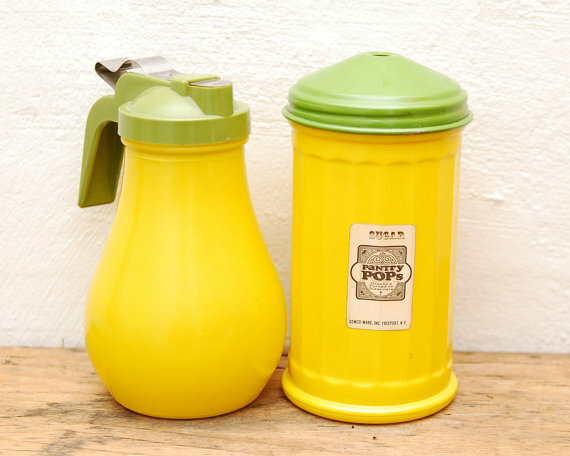 Vintage Pantry Pops sugar & syrup set. via VintageLancaster. Thank you for sharing my bowl & tins. You really can't wrong with fun vintage kitchen wares. Can't help but smile at sunny yellow and the thought of breakfast/brunch! Love the yellow floral tins, and thanks for including the cup and creamer from maryandgrace.etsy.com! Wow, wonderful blog format! How lengthy have you been running a blog for? you made blogging glance easy. The entire glance of your site is wonderful, as smartly as the content material!